Once I heard somewhere that if you want to tame your unruly hair then a good combination of mango and coconut oil could be the best choice. Now buying the idea, I started the experiment on myself. 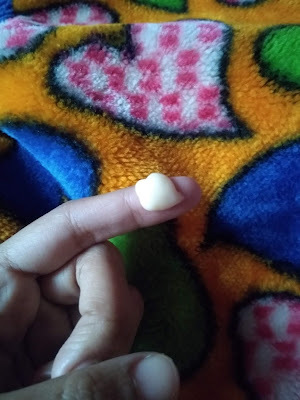 The result was undoubtedly satisfying as we all know that mango has lots of nutrients in it. But the whole process was so messy that it was hard to repeat the process again. 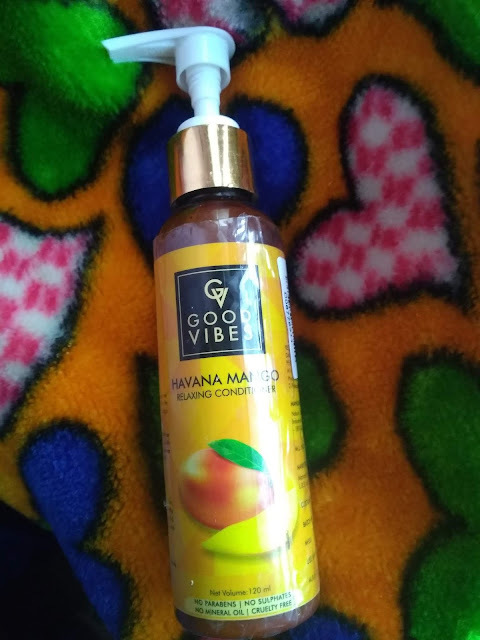 In the meantime while scrolling down Purplle, one of my favourite beauty apps, I got acquainted with Good Vibes Havana Mango relaxing conditioner. What made me more excited to buy this was that it offered to give your hair a spa like treatment with all the nourishments. On the other hand the product is crafted with fresh ingredients with no mineral oil. Good vibes conditioner is parabens and sulphate free too. It comes in a Sassy bottle with a golden cap. Spring is the season when your hair needs more hydration to lock the moisture. Winter is the time when your hair faces the hair loss mostly making it more sleek and lifeless. So after winter our hair needs further care to enhance it's looks. After washing my hair with shampoo I pump out according to my hair length and apply each and every strands of towel dried hair. Specially at the tips. 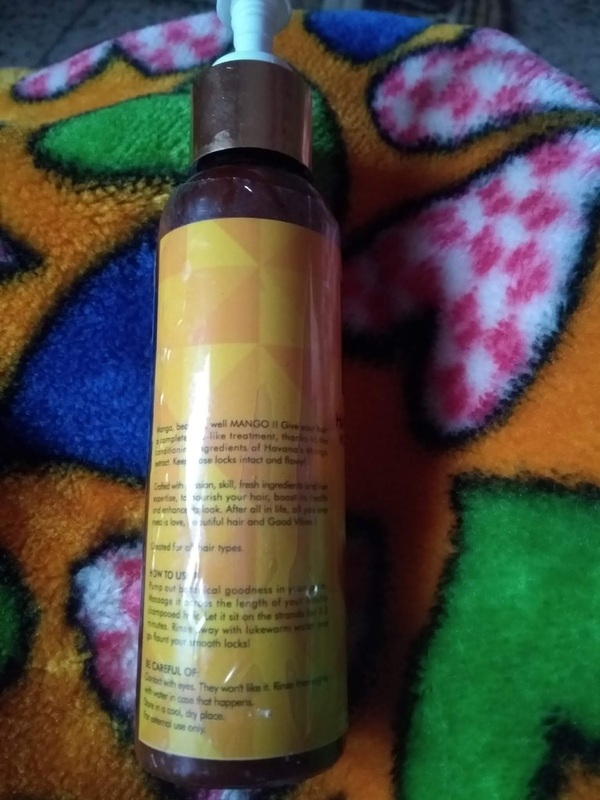 The conditioner looks like light yellow colour mango pulp with a light fruity smell. After 3 - 4 mins I rinsed my hair with lukewarm water. Trust me it works like wonder. My hair looks so fresh and bouncy. Trust me it carries the same freshness and shine even on the fifth day which is beyond my imagination. The moisture locking formula is really great and makes my hair really doable and healthy.